An assortment of colorful, sweet and sour, tart Scripture candies ("Smarties ©"). 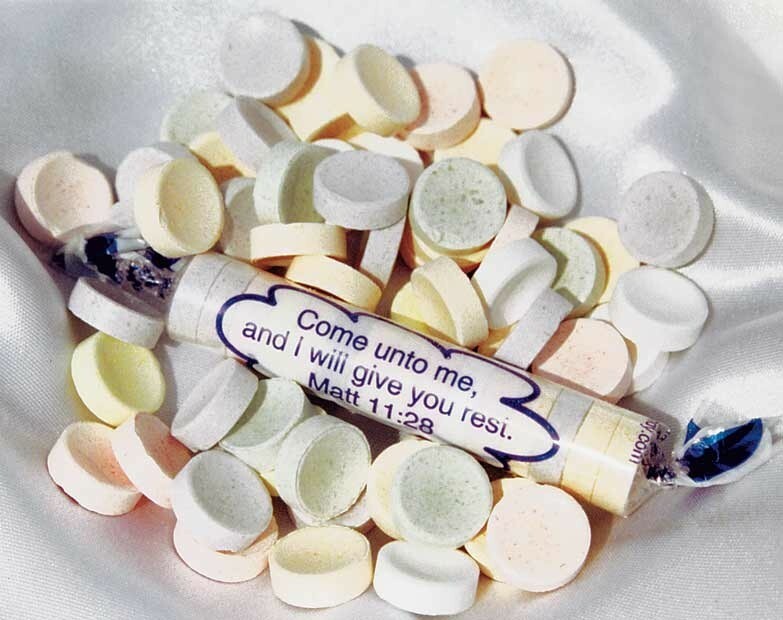 Each Christian Candy piece is individually wrapped in 1 of over 178 different scriptures. This case of religious candy contains approximately 2,480 pieces per 38 lb. box.